Unpaid work is something that we can’t ignore. Recognizing it and solving for it will have a far-reaching positive impact on society. There is an interesting anecdote that a participant shared in one of my workshops. She and her husband would leave every day for work together and come back together. On reaching back home, as they entered home, her husband would casually ask- “What’s for dinner” before proceeding to kick off his shoes, pick up the newspaper and sit on his favourite couch…. And this is only one rendition of the same story. Most working women seem to face this. Despite a full day’s work, they continue to be well-adjusted daughters-in-law, attentive wives, loving mothers, chefs, tutors, domestic engineers, home managers, etc. So, a working woman today fulfills multiple roles leading to what is called as “Unpaid work”. Data shows an average Indian woman spends 348 minutes every day doing unpaid work while a man hardly spends 51.8 minutes on such work. Ever wonder why there is no term like a ‘Working Man’? This concept of unpaid work is a direct outcome of social conditioning that says that men are the primary breadwinners and women are the primary caregivers. It starts early and the inputs are both overt and subtle. Children observe and learn about stereotyped gender roles from families, society around and educational institutes. Poems like ‘Mummyji ki roti gol, papa ji ka paisa gol’ or sending sons for sports classes while daughters are taught arts and music are perpetrators of this mindset. Even in households where daughters are educated and expected to pursue careers, they’re expected to do that tiny bit more to help with household chores. Hence, generations get conditioned to accept the stereotype of women being primarily responsible and accountable for household responsibilities. With awareness and evolution, while women are getting educated, joining the workforce and doing well, the expectation that they will continue to be primary if not be the only caregivers has not changed. The issue of unpaid work by women across society is a serious concern with significant implications. The first implication is linear, it puts physical and mental stress on women, leading to questions on career continuity. Here I would like to differentiate between career intentionality and career continuity. No young women professional with years of hard work and degrees join the workforce with an intent to leave without fulfilling her career aspirations. 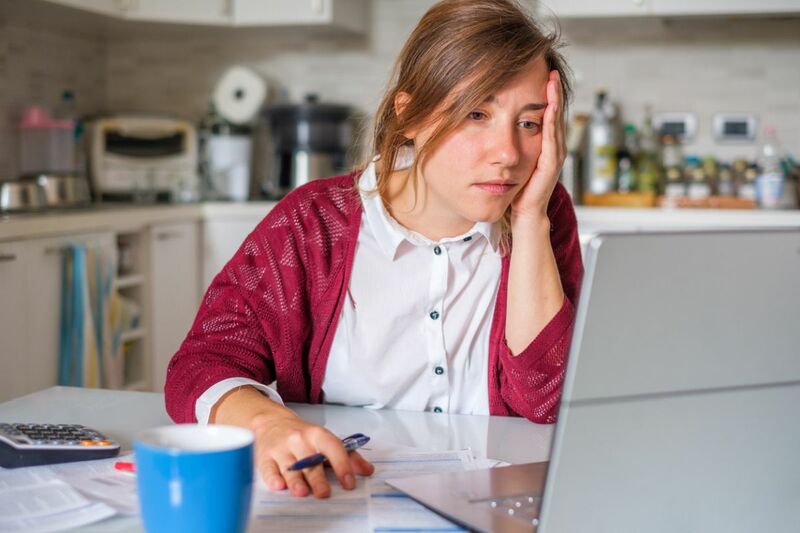 However, the sheer stress of managing both professional and unappreciated unrecognized unpaid work often plays a strong role in the decision to take a break. Studies also reveal a mother with 1 child is 18% more stressed, while one with 2 children is 40% more stressed than other people. This is because when a mother comes home from work, she’s expected to help with her children’s homework, ensure their emotional and physical wellbeing, provide them adequate attention. Most mothers reveal they have very little time for themselves. Secondly, it continues to perpetuate the social conditioning and gender bias. When a child sees the mother continue to do more household work than the father, that is what the child will learn and perpetuate as an adult, at home and at the workplace. Issues on “career continuity” are touted as reasons for not hiring women, not considering them permanent or “leadership material”, and even for the gender pay gap. Lastly, it is leading to a disturbing trend on society….where women are questioning the impact of marriage and motherhood on careers. When a young trainee articulates that a lot of senior women role models are single or divorced or childless one starts to wonder about the intensity of the issue. It is a cultural issue that society can solve. Everyone has a role to play. Every individual, family, society, organisation. Families being the smallest unit of society can make a significant difference by espousing‘gender neutral’ parenting. While most families today want to provide equally for both the sexes but they must realise and remove the subtle cues that might exist. Long term effect yes, but worth the effort. So ensuring both sons and daughters get truly equal opportunities for education, get trained in household work and take their fair share of home and outdoor responsibilities. Schools can play a role by building gender equality and equal opportunity in their approach. Just like “Good touch bad touch” is being taught in school, gender equality also needs to find a place. Sessions to sensitise both boys and girls, ensuring any and every touchpoint with the student is gender bias-free would have a transformational effect. Lastly, organisations can encourage equal participation of both men and women by deploying gender-neutral policies and informal norms. For instance, maternity and paternity leave or “parental leaves”. Sabbaticals for parents with children in class XII and so on. These would address career continuity. Unpaid work is something that we can’t ignore. Recognizing it and solving for it will have a far-reaching positive impact on society. So next time you are asked ‘What’s for dinner?’ you know that the issue is more than today’s meal!